Washington, DC (June 12, 2018) -- The National Association of Black Journalists (NABJ) proudly announces the selection of Wynona Redmond, president and founder of Wyn-Win Communications, as the recipient of the 2018 Patricia L. Tobin Media Professional Award. Named after Tobin, a pioneering publicist, media entrepreneur, and co-founder of the National Black Public Relations Society (NBPRS), the award honors a public relations, advertising, marketing professional, or media owner who serves as an industry trailblazer in affecting the positive representation of African Americans in the media and directing change in the media industry at large. Redmond's Chicago-based consultancy is dedicated to helping organizations effectively engage their community, customers, and other key audiences. Through Wyn-Win, Redmond applies her passion, creativity, and commitment to help clients achieve sales growth, community goodwill, and public recognition. In fact, Redmond served as the NBPRS' first conference and programming chair. She was also the organization's second president after Tobin passed the baton. "Wynona is an excellent public relations expert who has represented some of the most important and influential corporations and public figures that are known to us," said NABJ President Sarah Glover. "Wynona's impact is far-reaching. She has always had a deft touch and is more than deserving of this special honor." Redmond said she's humbled by the honor. "It's emotional because I miss my friend and colleague, Pat Tobin. She was a big-hearted entrepreneur and one of my role models when I started Wyn-Win Communications five years ago. We both shared the definition of PR as people and relationships," she said. 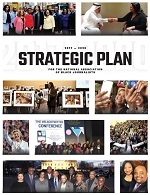 "Like Pat, I treasure the relationships I've had with NABJ and the National Black Public Relations Society professionals; All of us working to make our communities and students stronger." Redmond's company offers strategic counsel on issue-based communications, community outreach priorities and consumer relations, project management and executional support for the most complicated public affairs and community engagement assignments. Before founding Wyn-Win Communications, Wynona led public affairs and community engagement responsibility in both the public and private sector, including Northstar Lottery Group, Dominick's Finer Foods, Illinois Department of Children & Family Services, the Chicago Housing Authority and Cook County Hospital. 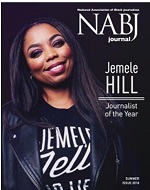 NABJ will honor Redmond on Saturday, Aug. 4, 2018, during the NABJ Salute to Excellence Gala at the NABJ Annual Convention and Career Fair, which takes place Aug. 1-5 in Detroit at the Detroit Marriott at the Renaissance Center. Convention registration and awards tickets can be purchased here.